President Paul Lemire, Vice president Hans Schweitzer, Past President Ron Dobrinsky, Second Vice president John Reimers, Secretary Jared Lavalee,Treasurer Karl Oman, Chef Directors : Jesse S. Friesen, Brian Humniski, Michael Fitzhenry, Jeremy Langeman, Michael Keeler, Chris Coombs, Travis Leost . Associate Members : Sysco – Peter Ecker, Saputo – Coleen Robbins, Derek Kostyniuk, Werner Saxler, and Mo Razik. These are the women and men who currently offer their time and energy to help CCFCC meets its mission in Winnipeg. Check them out, drop them a line, they would be more than happy to hear how we might be able help our culinary community be the best we can be! Paul is a passionate chef who has spent the last 40 years doing what he loves. Paul has worked with many of Winnipeg’s finest chef’s and they have helped guide him through his culinary career. To date he has helped served over a million meals. With the collaborations of many colleges along the way he has prepared meals for every Prime minister since Pierre Eliot Trudeau to our current Prime Minister Steven Harper as well as members of the local, provincial and civic governments. He has prepared dinner for her majesty Queen Elizabeth II of England twice, the former President Jimmy Carter and first lady of the United States of America, Rosalynn Carter. The cast and crew of “Shall we Dance” including Richard Gere Susan Sarandon and Jennifer Lopez as well as many local celebrities. One small high light was serving a large function in (2002) where Martha Stewart was the guest speaker. The day after the event a member of her team called and asked to have the recipe for the “Chilled Summer Pumpkin Soup with Ginger”. Our culinary team had no recipes for large events so a recipe was created and down sized and forwarded to her team. Many chef mentors have guided and helped Paul gain skill and experience through out his career and this is why he has always taken the time to mentor and help young chef’s and colleges in the culinary industry. Throughout his career Paul has served many dignitaries, special events and rock stars along the way to his most recent challenge, teaching and sculpting the young new minds of tomorrow. Paul started his teaching career in Brandon in 2009. During that time Paul’s culinary students served community events where they represented their school with pride and received may accolades from their community members. 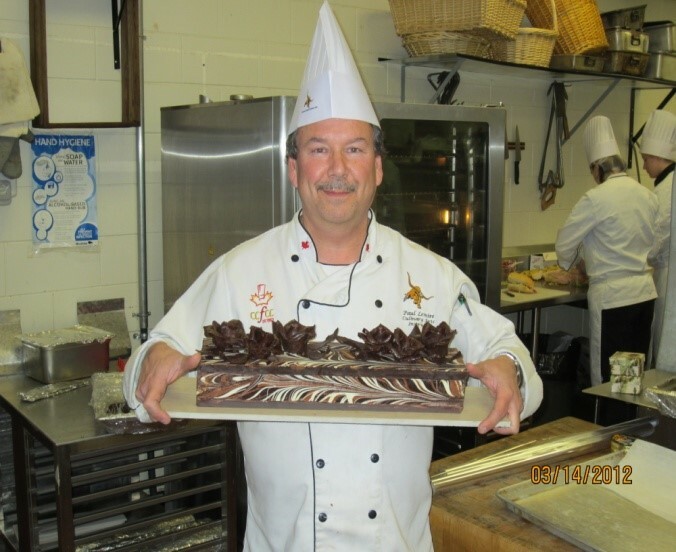 Through out his time in Brandon he became actively involved in the Brandon Chef’s Association, first as the treasurer and then the President for several years. Recently he moved back to Winnipeg where once again he is actively involved in the Winnipeg Chef’s Association as the their newly elected President. .
During his time as a chef Paul has received 10 numerous from the Regional Salon Competitions. One especially sweet victory was in hot food competition where he and two colleges defeated his senior mentors, the Gold Medal Team from Germany, it is victory that is still discussed to this day. Hans Schweitzer was born in Frankfurt, Germany where he took his apprenticeship. 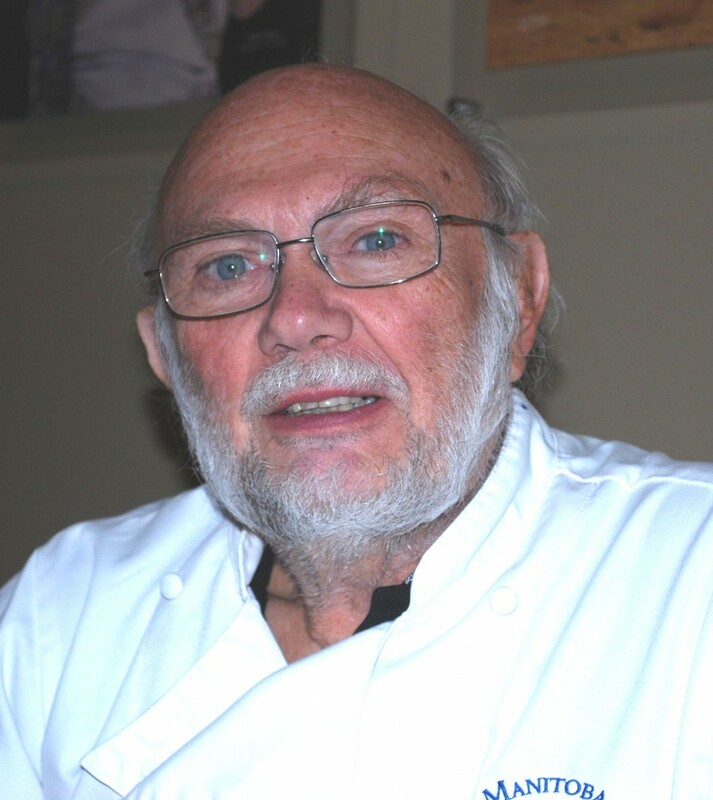 Hans then worked in Sweden, England and Bermuda and came to Canada in 1973 to work at the Wellington restaurant (Cara) in Toronto. From there Hans went to Kitchener as Head Chef at the Holiday Inn, then transferred to holiday Inn, Winnipeg in 1976. Hans became executive Chef at the Manitoba Club and later at the Winnipeg Convention Centre. In Winnipeg Hans joined the Canadian Culinary Federation and has been an active member since. Hans took on the role as Co-chair of the Culinary salon and the following year he became Chair and held that position for 14 years. At the same time Hans was Chair of the President’s Ball committee. Hans was involved in most of the fundraising ventures for the association. In 1984, Hans became a Team Member of team Manitoba, winning a Team Gold and individual Silver. In 1988, at the Olympics, he won a Team Silver and 1992 was Team manager, winning a Team silver. After this, he was a co-ordinator for team Manitoba. Hans went to Expo Quebec in 1983 winning Gold with team Manitoba and again went to Quebec placing 4th in the national Black Box Competition. Hans has served on the board as director, Vice-president and President for 4 years. Hans was also instrumental in starting a Junior Chapter in Winnipeg and was involved with the founding of the Apprenticeship Program in Manitoba. Hans has been selected teacher of the year and voted Chef of the Year twice. Hans has won numerous trophies and medals in competitions. As a Culinary arts Instructor he led many of his students to medals and awards, which included the School trophy for many years. Hans has since retired from teaching but still has the love and passion for the culinary industry. Brian has been a part of Winnipeg s culinary community as a Chef and Culinary instructor for over twenty years. His passion for all things gastronomic has driven Brian to be an avid gardener, forager and food enthusiast. A Culinary Education at Red River College in Commercial Cooking and Chef training was followed by years of work in various restaurants and hotels in Winnipeg and Vancouver. He also cooked at all points in between while cooking with Via Rail Onboard Services. Brian fulfilled his dream of owning his own restaurant when he opened the Moonlighter Restaurant in the Winnipeg Beach Provincial Park. As an entrepreneur he gained acclaim, honors and positive reviews. In the off season, in addition to working in catering, the opportunity to teach cooking classes part time came up. This was an activity which he enjoyed. While owning a restaurant was a relative success, Brian began to look for other ways to fill his off season. Brian completed teacher education at Red River College and went on complete his education degree at the University of Manitoba. Brian continues to develop and administer cooperative education programing for the Seven Oaks School Division . His work encompasses all aspects of tourism certification as applicable to transition to the hospitality industry. In 1995 the Conference board of Canada recognized the program as the outstanding business and education partnership in Canada. 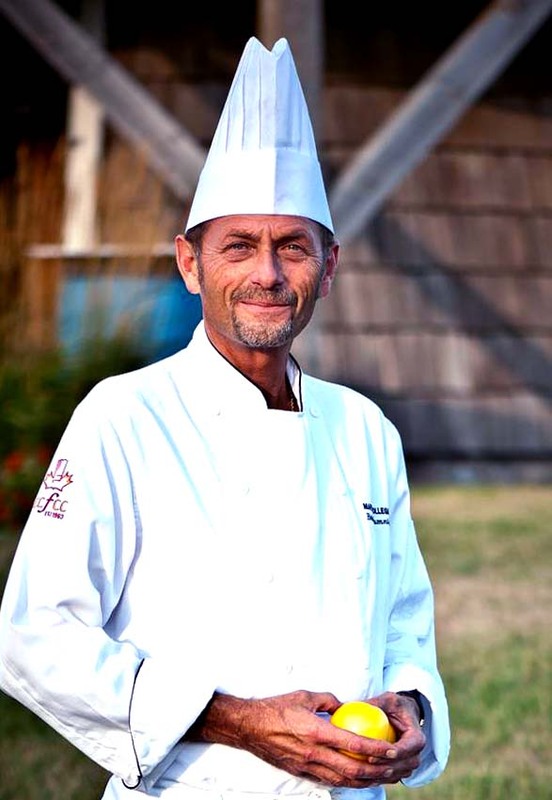 Brian works with Canadian Academy of Travel and Tourism, The Global Travel and Tourism Partnership and Emerit Tourism Training in delivering tourism education to culinary and hospitality students. Brian has worked with the local chefs association, since his teaching career began, holding various executive positions including culinary salon chair, where he worked in organizing culinary competitions for young chefs. For his efforts he was recognized as the Canadian Culinary Federation, Winnipeg Branch Chef of the Year for 2010. Brian’s students have partipated in many culinary competitions and recently were the 2013 winners of the Localvore Iron Chef Competition. Most Recently Brian was recognized by the Province of Manitoba as the Champion for Sustainability for 2017 for his work developing curriculum for tourism studies.